“Tens of millions of people in the western United States rely on the Colorado River to provide water for agricultural, municipal, and consumptive use, as well as support for our growing recreation economy,” Gardner said. “Following the leadership of Coloradans and communities across the seven affected states, we are now one step closer to countering drought, addressing climate change, and strengthening Colorado’s agricultural and outdoor recreation-based economy,” Bennet said. Chair Raúl M. Grijalva (D-Ariz.) today hailed House passage of the Colorado River Drought Contingency Plan Authorization Act, which he introduced April 2. Thanks to Grijalva’s leadership, the House approved the bill – formally designated H.R. 2030 – by a voice vote, expediting passage and avoiding procedural hurdles to get the bill closer to President Trump’s desk as fast as possible. When enacted, the plan will spread the effects of expected cutbacks on the river and protect the levels of Lake Mead and Lake Powell, the river’s two largest reservoirs. Its aim is to protect water users from deep losses and keep the reservoirs and river healthy. 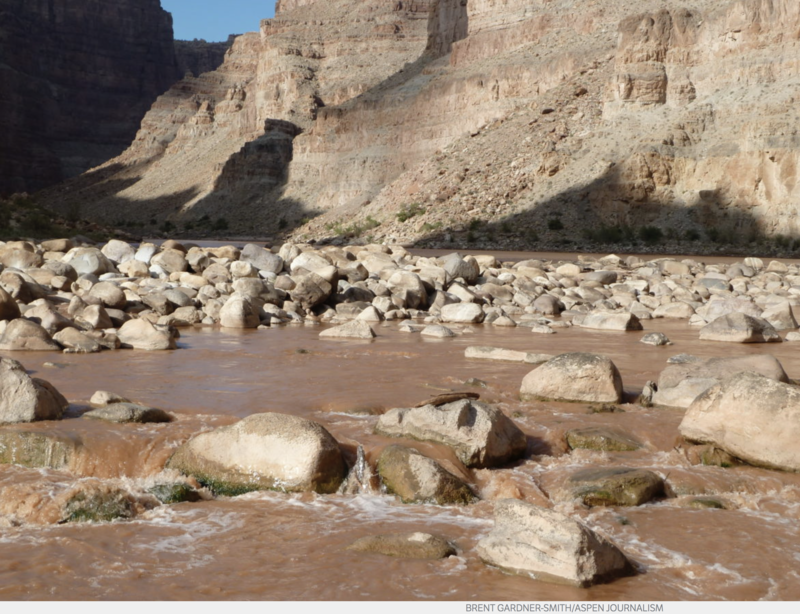 “The Colorado River is dissipating,” Grijalva told The Arizona Republic. The drought plan is a short-term fix to stave off the most immediate effects of a 19-year drought that continues to threaten parts of the Southwest. Once the bill is signed by [the President], representatives of the seven river states are expected to meet again to finalize the deal. The Colorado River Drought Contingency Plan (DCP) is a set of voluntary agreements among the 7 basin states (AZ, CA, NV, CO, NM, WY, UT), the U.S. and Mexico to use less Colorado River water. H.R. 2030 authorizes the Secretary of the Interior to execute and carryout multiple agreements in relation to the Colorado River Drought Contingency Plan. H.R. 2030 Cosponsors include Representatives: Mark Amodei (NV-02), Andy Biggs (AZ-05), Rob Bishop (UT-01), Ken Buck (CO-04), Ken Calvert (CA-42), Liz Cheney (WY-At Large), John Curtis (UT-03), Diana DeGette (CO-01), Ruben Gallego (AZ-07), Paul Gosar (AZ-04), Debra Haaland (NM-01), Steve Horsford (NV-04), Jared Huffman (CA-02), Ann Kirkpatrick (AZ-02), Doug Lamborn (CO-05), Susie Lee (NV-03), Debbie Lesko (AZ-08), Mike Levin (CA-49), Alan Lowenthal (CA-47), Ben Ray Lujan (NM-03), Ben McAdams (UT-04), Grace Napolitano (CA-32), Tom O’Halleran (AZ-01), Ed Perlmutter (CO-07), Lucille Roybal-Allard (CA-40), Adam Schiff (CA-28), David Schweikert (AZ-06), Greg Stanton (AZ-09), Chris Stewart (UT-02), Scott Tipton (CO-03) Dina Titus (NV-01), Xochitl Torres Small (NM-02). The DCP will reduce states’ water usage and target minimum water levels for reservoirs in the watershed including Lake Mead on the Arizona-Nevada border and Lake Powell on the Utah-Arizona border. Passage of H.R 2030 provides certainty and assists with ensuring a reliable supply of clean water for farmers, cities, tribes, other water users and future generations in the 7 basin states. View the different plans codified by the DCP and a letter form the seven States of the Colorado River Basin requesting passage of federal legislation here. Over the last century, water demand in the Colorado River Basin has increased while water supply has, on average, decreased. The average annual natural flows in the river are about 14.8 Million Acre-feet (maf). This is a decrease from the early 20th century flows of 18 maf, when many of these apportionments were enacted. The current natural flows no longer keeps up with the demands on the River. 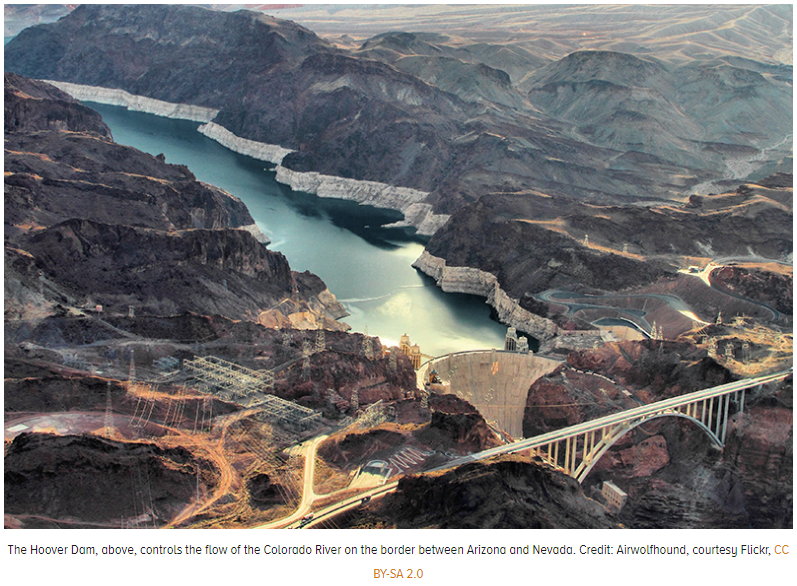 The Colorado River Basin’s success is in large part due to the Basin’s water storage projects. These projects have capacity to store almost 60 maf or about four times the Colorado River’s annual flows. 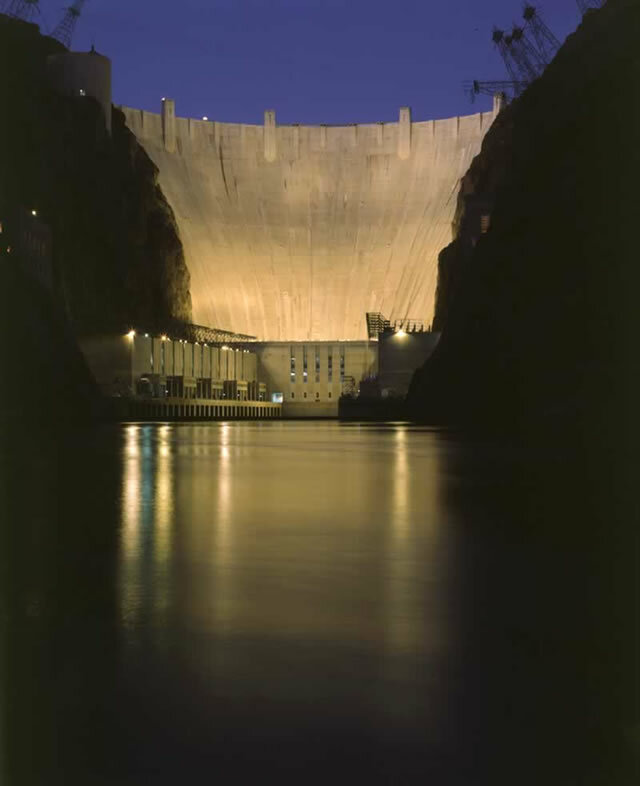 The Basin’s two largest dams are Glen Canyon Dam (Lake Powell) with a 26.2 maf storage capacity and Hoover Dam (Lake Mead) with 26.1 maf. These storage projects provide a reliable source of water for the Colorado River Basin. Since 2000, the Colorado River Basin has experienced historic drought conditions. The Bureau of Reclamation has taken several actions, including the development of the 2007 Colorado River Interim Guidelines, to provide additional operational guiding principle and tools to meet the challenges of the drought.10 In December 2017, due to the continued drought, Reclamation Commissioner Brenda Burman called on the Basin States to put DCPs in place. Talks on the DCPs had been underway since 2015, but had not made significant progress until then. The agreements include an Upper Colorado River Basin DCP and a Lower Colorado River Basin DCP. The Upper Basin DCP protects elevations at Glen Canyon Dam by keeping them above 3,525 feet, which is 35 ft above the minimum elevation needed to run the dam’s hydroelectric plan. In addition, it will help assure continued compliance with the 1922 Colorado River Compact and authorize storage of conserved water in the Upper Basin that could help establish the foundation for a Demand Management Program that may be developed in the future. The Colorado River irrigates nearly 5.5 million acres of farmland and serves approximately 40 million people in major metropolitan areas across nine states in the United States and Mexico including Denver, Salt Lake City, Las Vegas, Phoenix, Tucson, Los Angeles, San Diego, Mexicali and Tijuana, and a number of tribal reservations. The Colorado River Basin (Basin) is currently experiencing its worst drought in recorded history. The period from 2000 through 2018 is the driest 19-year period in over 100 years and one of the driest periods in the 1,200-year paleo-record. Over a decade ago, responding to five years of intense drought, the Department of the Interior (Interior) worked with the Basin States, tribes and other stakeholders in the Basin to adopt operating rules for Glen Canyon and Hoover Dams. These operating rules are known as the 2007 Interim Guidelines and were adopted to better coordinate the operations of Lakes Powell and Lake Mead, encourage water conservation, and to provide objective rules for shortages and reductions of water use in the Lower Basin by Arizona and Nevada. Since 2007, the drought has persisted and more action, such as combining provisions requiring reduced use of water with new incentives to conserve water, is needed to protect these reservoirs that are essential to our environment and economy. Following the extremely dry years of 2012 and 2013, when the Colorado River experienced the lowest 2-year runoff period in modern recordkeeping, the seven Colorado River Basin States began pursuing drought contingency plans. In 2014, Reclamation and the Basin States initiated a series of pilot projects to encourage additional, compensated, water conservation. Most recently, the adoption in September 2017 of a new, long-term cooperative agreement with Mexico known as Minute 323 included additional important water conservation and savings actions by Mexico. Some of these water savings actions would only be triggered if the DCPs are completed in the US, which intensified efforts to complete the DCPs in the Upper and Lower Basins. In December 2017, [Commissioner Burman] called on all seven Basin States and key water districts in the Lower Basin to complete their work on finalizing the drought contingency plans by the end of 2018. During development of the DCPs, the states requested, and received, technical assistance from Interior on such matters as the projected risk facing the basin as a result of long-term drought. Interior is proud to have worked collaboratively with the States, tribes, non-governmental organizations and other Basin stakeholders on the DCPs. The Colorado River provides water to approximately 40 million people and 5.5 million acres of irrigated agriculture in the Upper Basin (Colorado, New Mexico, Utah and Wyoming) and Lower Basin (Arizona, California and Nevada). 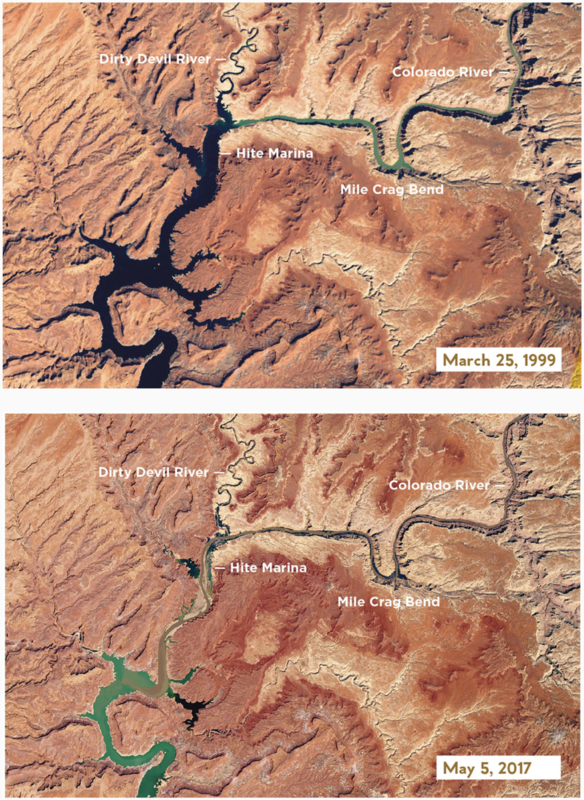 Since 2000, the Basin has experienced historically dry conditions and combined storage in Lakes Powell and Mead has reached its lowest level since Lake Powell initially began filling in the 1960s. 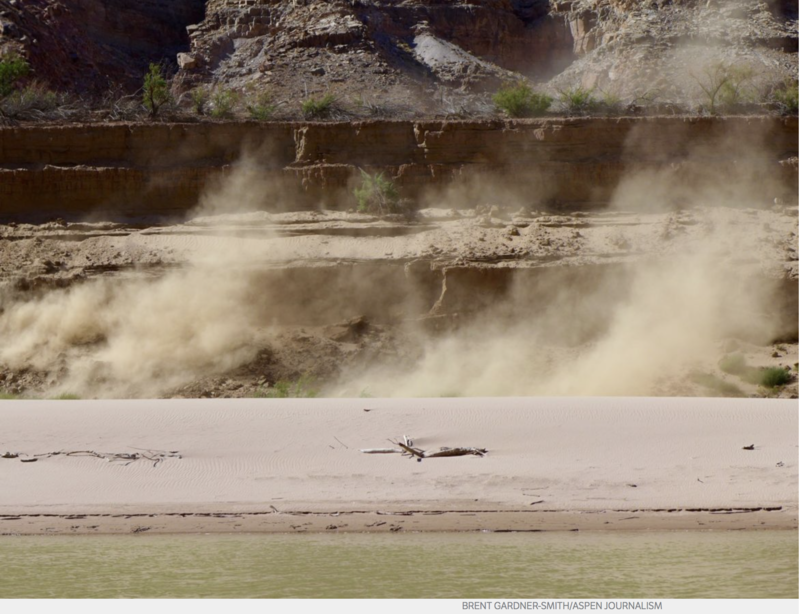 Last year’s runoff into the Colorado River was the second lowest since 2000, and there is no sign that the trend of extended dry conditions will end any time soon even if 2019 provides above average runoff. Lakes Powell and Mead could reach critically low levels as early as 2021 if conditions do not significantly improve. Declining reservoirs threaten water supplies that are essential to the economy, environment, and health of the Southwestern United States. Working together, the seven Basin States have developed drought contingency plans that are reflected in the agreements attached to this letter. We hereby request passage of federal legislation that would authorize and direct the Secretary of the Interior to sign and implement the agreements upon execution by the non-federal parties. 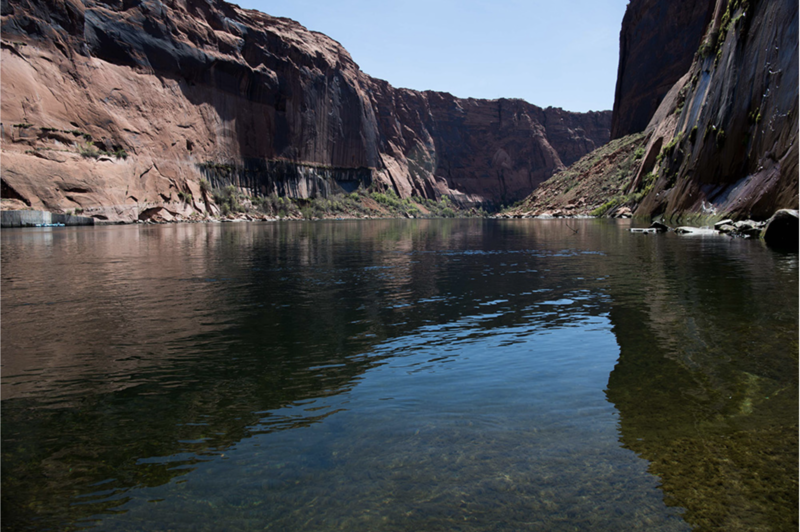 Federal legislation and subsequent implementation of the agreements will enable prompt action to enhance conservation of Colorado River water and provide us with water management tools necessary to address a looming crisis. These tools will assist us in reducing the probability that Lakes Powell and Mead will decline to critically low elevations. Multiple representatives from the seven Colorado River Basin states — Utah, Wyoming, Colorado, Arizona, Nevada, California and New Mexico — spoke on the urgent need for states to implement flexible water savings to ward off possible shortage declarations in the coming years. In particular, congressional representatives stressed that while this past winter delivered outstanding hydrological conditions in many of the basin states, one good year is not a reason to relax. “It is not an infinite resource, water, it is a finite resource and we need to treat it that way,” said Rep. Raul Grijalva, D-Ariz., and chairman of the U.S. House Committee on Natural Resources. Both he and Bishop have been shepherding the bipartisan bill, which authorizes the U.S. Department of Interior’s Bureau of Reclamation to enact its provisions. “The water from the Colorado River is not only the lifeblood for farmers and ranchers in eastern Utah, it also supplies drinking water to the rapidly growing Wasatch Front,” said Rep. Ben McAdams, D-Utah. The plans are designed to keep Lake Mead, in particular, from dropping below a level at which shortages would be declared and allow states to embark on water-saving strategies to keep more flows in the river, even as demands grow. Colorado National Monument from the River Front Trail. @mwdh2o scouting team looking for where to site our Colorado River Aqueduct intake on the Colorado River. Boats powered w Model T motor! — Jeffrey Kightlinger via Twitter. At the Colorado River delta, cheniers of dead clam shells epitomize the carbon dioxide being added to the atmosphere upstream. Photo credit Jansen Smith via Cornell University. Delph Carpenter’s 1922 Colorado River Basin map with Lake Mead and Lake Powell shown. The two giant reservoirs have always been part of the governance of the river. Lake Granby spill June 2011 via USBR. Granby Dam was retrofitted with a hydroelectric component and began producing electricity earlier this year as water is released in the Colorado River.